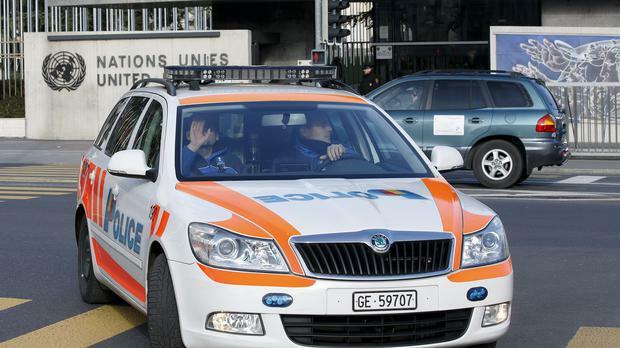 A 75-year-old woman has been arrested on suspicion of killing a seven-year-old boy in the street, police in the north-western Swiss city of Basel said. The boy was walking home from school shortly after midday when he was stabbed, Basel police said. The child's teacher found him lying on the ground with serious injuries and called emergency services, but the boy later died in hospital. Authorities said the elderly woman presented herself to prosecutors "and informed them that she had attacked the child". Police said they are still investigating the circumstances and motive for the attack and are appealing for witnesses.